Today, female boxers are competing in the Olympics, NASA teams typically include many female astronauts and women can be found repairing car engines as mechanics. In one field after another, women are choosing careers in previously male-dominated industries and redefining their roles in the workplace. In many of these occupations, the issue of gender is becoming negligible, and many women are proving that many jobs formerly considered strictly for men are within their reach. The construction field is just one of these examples, and the women running their own construction businesses and becoming a growing part of the construction workforce are gaining attention for setting new employment standards. Although women occupy only a small percentage of the field, those who’ve found success see room for growth and are encouraging other women to follow their ambitions into the field. The National Association of Women in Construction is part of the effort to ensure that women have a pathway to a career in construction. The group was founded in 1953 in an era when gender roles were much stricter. Today, the organization serves to provide information, support and networking for women in the field. It currently has chapters in nearly every state and has made connections with other organizations supporting women in construction around the world. As women enter the construction industry, they’re doing so on both a managerial level and as part of the labor force. Women are not only in positions of authority but are getting involved in the work itself, picking up welding tools, metal shears and riding saws on the site. Roxanne Rivera has worked as a manager in the construction business since the early eighties and has been one of the industry leaders. She’s been a witness to the gradual changes in the acceptance of women in the field and has encouraged female students interested in studying engineering and construction management. Karen Sweeney, vice president for diversity and inclusion at Turner Construction, is also working to open opportunities for women at the executive level. Attitudes are gradually changing, according to other female business owners in the construction field, although it’s not a given that acceptance will take place as women fill positions as laborers and supervisors. Often, when the topic of gender equality is raised, equal pay is a main issue. It’s a struggle that continues to take place, yet in some industries women actually earn more than men, and managerial work in construction is one of them. It’s clear that women will continue to be involved in architecture, engineering and construction, and efforts will be made to combat the barriers that have been a mainstay in these industries. Companies are also aware that any hostility or sexual harassment can lead to legal repercussions that will gain national attention. 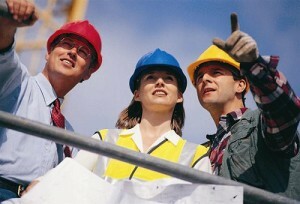 Construction has always been a crucial industry for the nation’s economy and may be even more so in the future. The American Society of Civil Engineers (ASCE) currently rates the nation’s infrastructure as just above a failing grade, illustrating the need for new investments to improve the nation’s bridges, roads and schools. In the efforts to make the necessary improvements, people with the right skills and dedication will be needed, regardless of gender. In the years to come, women will likely continue to maintain a presence in the construction industry and prove that the gender roles of the past are being left behind for good. Need A Break From The Ordinary? At 6 a.m., your alarm sounds. You drink a cup of coffee at 6:15.